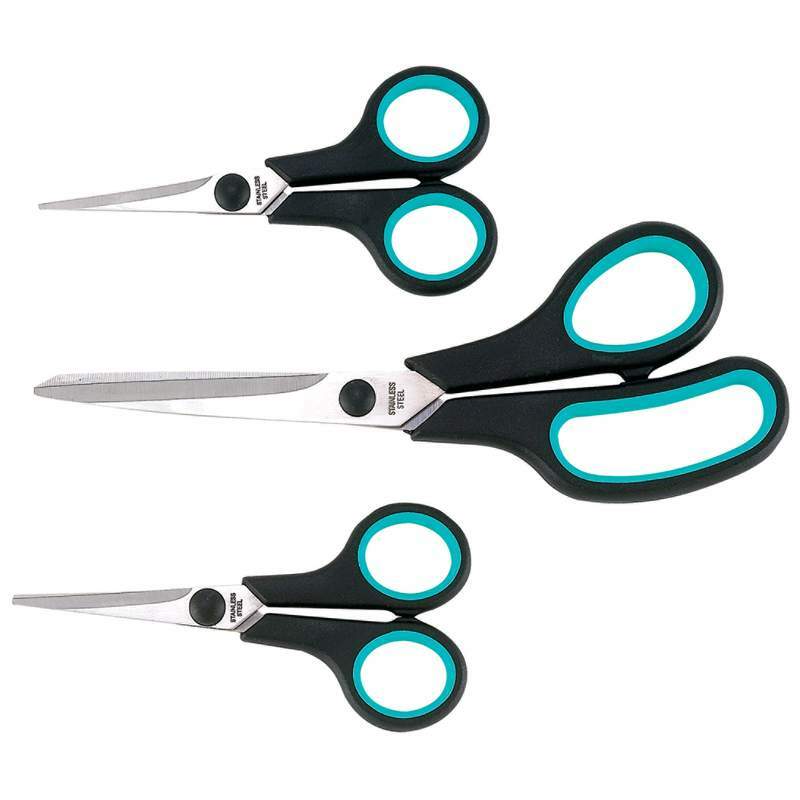 The Maxam® 3pc Small Household Scissor Set is one of our customer favorites. A must-have kitchen utensil for opening food packages, and an indispensable tool for the home office, sewing or craft room, you’ll buy more than one set because this scissor set is so versatile. Soft-touch handles offer a safe, comfortable grip. Set includes an 8-1/2” pair of scissors and 2 pairs of scissors measuring 5-1/8” each. Limited lifetime warranty. Color card.